Cosmos was awesome, so I definitely had to get the DVD! Click on the pic to access my Cosmos posts! In the spirit of the World Cup, let's check out some important goals to achieving diversity within the STEM community. But first .... Germany's Alexander Gerst of the European Space Agency (ESA) and NASA's Reid Wiseman and Steve Swanson are both celebrating advancing to the next stage of the World Cup. Check out some quick soccer moves on the International Space Station (ISS). 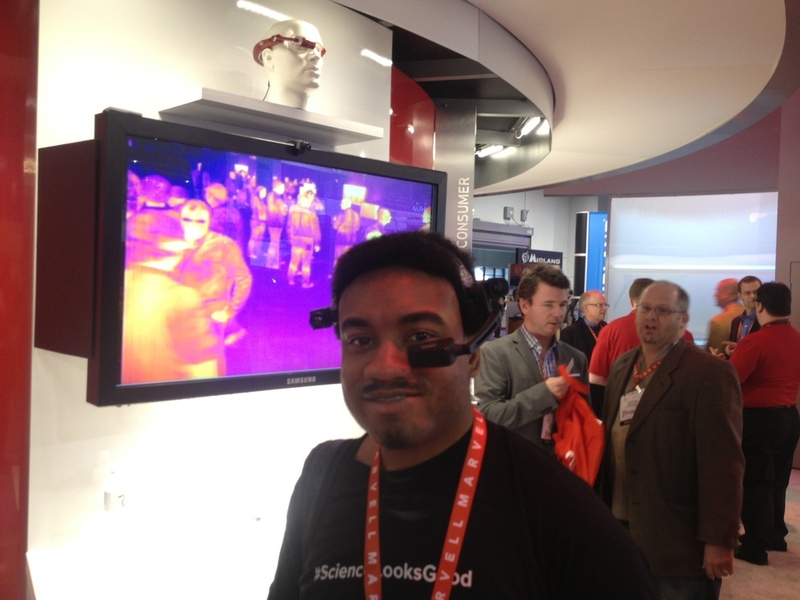 We've made great progress in a few STEM diversity goals - let's check em out! 1) Highlighting women in science. While we will always advocate for more women in STEM, we don't want to forget about the ones that are representing right now! Kyla McMullen has done a great job to help us reach this goal. Her list of the Sexiest Black Female Scientists, which was inspired by a similar Business Insider list that featured no women of color, was all over the net recently. Check it out to see some gorgeous, intelligent women that are contributing to the world in a huge way. Neil deGrasse Tyson, a Black astrophysicist, conquered Westeros and Essos and consistently topped ratings in the Sunday evening time slot for Cosmos. I hosted live tweets every Sunday and had great engagement and participation from science lovers and newbies alike. Tyson definitely helped show the world that a person of color can successfully lead a science program. The people behind the gaming industry tend to be white and male - not representative of the diverse set of people that enjoy games. Recently, Aisha Tyler continued her excellent hosting duties during the largest video game industry conference of the year (Ubisoft's press conference at E3 2014). She also interviewed with NPR about diversity in the gaming space. Finally, I've been lucky enough to be a part of several episodes of the Spawn On Me podcast, which focuses on people of color within the gaming industry. I'll make sure to check in on these goals and others! Last night the series premiere of Cosmos, a miniseries exploring the universe, debuted on Fox. Its a reboot of the original 1980s series which was hosted by astronomer Carl Sagan, and is one of the most widely watched miniseries in history. I saw part of the original series in the mid and late 80s, but I was still young and didn't fully appreciate it. Last night, a Cosmos saved my life. After graduating college, my good friend Raymond told me about Sagan's book Cosmos, which was made after the TV series gained in popularity. I immediately recognized the name as the series that I watched so many years before, but I did not know that the book would become one of my favorites of all time. OF ALL TIME. Sagan has a way of describing complicated topics such as the length of time since the big bang in terms that can be grasped by a variety of folks. His Cosmic Calendar - where the entire history of the universe is placed in a calendar year - remains one of my favorite ways to explain exactly how new humans are to the universe. All of recorded history takes place at the very, very end of the calendar. Puts things into perspective. I had so much fun watching Cosmos and participating in the discussions that followed on and offline. Be sure to check me out on Twitter (@ShareefJackson) every Sunday at 9pm Eastern as I tweet about Cosmos during the show. A sample of my tweets from the premiere are shown below via Storify. The Future City Competition is a national, project-based learning experience where students in 6th, 7th, and 8th grade imagine, design, and build cities of the future. Students work as a team with an educator and engineer mentor to plan cities using SimCity™ software; research and write solutions to an engineering problem; build tabletop scale models with recycled materials; and present their ideas before judges at Regional Competitions in January. Regional winners represent their region at the National Finals in Washington, DC in February. 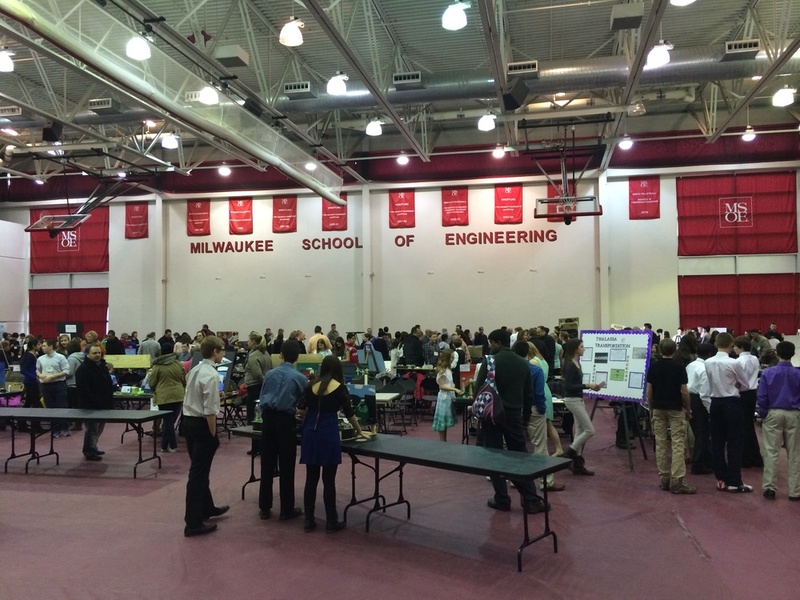 Last weekend I had the pleasure to serve as a judge for the Wisconsin Regional finals at the Kern Center for the Milwaukee School of Engineering (MSOE). It's a beautiful gym and it was fun to see all of the students carrying their city models that they built out of recycled materials into the center. Here's a pic from the outside at the wonderful time of about 7:30am. The white truck in the background is from a Fox news van that was covering the event. The judges sat in a room and teams would come in and give a short presentation and Q&A session. The teams spoke about their ideas on how to solve transportation using the model that they built, and had moving parts and visual aids. The models themselves were quite cool as they were made of recycled parts - everything from Starbucks cans to computer speakers. Unfortunately, as a judge i could not take photos of the individual science models, but below is a photo of the main hall. You can see quite a few well-dressed kids next to their visual aids, ready to explain the feats that their city accomplishes. I left the event pumped and optimistic for the future of science in our country. We are in good hands, but we can't get lazy - we need to encourage this spirit of innovation in ALL grades. Once kids find out that #ScienceLooksGood, they'll help move us to the next era. Also, the title to this post refers to one of my favorite songs, the Greatest Love of All by Whitney Houston. I had to learn this song while attending the YMCA as a kid. Not to be outdone, the Eddie Murphy film Coming to America featured a hilarious rendition of Greatest Love of Y'all by Randy Waaaatttttttssssoooooonnnnn and Sexual chocolate. From December 2nd to December 20th, NPR's Tell Me More program hosted daily twitter chats under the hashtag #NPRBlacksInTech. Techies from all over the world, including yours truly, shared our experiences as minorities within the tech space and discussed ways to improve our experiences. Sharing serious stories was often balanced with seeking humor in some of the situation that we could all relate to being one of the few minorities in our respective fields. One of the key messages was that we need to continue the conversation. My next series of posts will be expanding on some of the tweets that I shared during this conversation. Starting tomorrow, I'll feature one of my tweets and discuss the intricacies of it. Buckle up! For background, check out NPR's Storify discusing the reasoning behind #NPRBlacksInTech, as well as its successful implementation. Nelson Mandela passed away this week. He's one of the few that could truly be called a legend, despite the criticism he received for most of his life. He's done so much for the world for his revolutionary role in taking on a country system built on hate, being imprisoned for 27 years of his life, and coming back to lead that same country. He's stood as a champion for education, and the The Nelson Mandela African Institute of Science and Technology (NM-AIST) supports his vision of cultivating leaders to keep Africa on a consistent path of improvement. According to a 2009 presentation by NM-AIST alumni Burton LM Mwamila, World Bank Group President Jim Wolfensohn met with several African leaders in 2001 and 2002. It was there where Mandela suggested that one of Africa's greatest needs are science institutes in the vein of the Indian Institutes of Science and Technology (IITs), MIT, CalTech, etc. NM-AIST schools were thus created in Western, Eastern, Central, and Southern Africa. The Vision of NM-AIST is to become a world-class institution of higher learning dedicated to the pursuit and promotion of excellence in science and engineering, and their applications for economic growth and sustainable development in Africa. The Mission of NM-AIST is to deliver and promote high quality and internationally competitive teaching and learning, research and innovation, and public service in science, engineering and technology for enhanced value addition to people and natural resources, emphasizing entrepreneurship with a view to stimulating, catalyzing and promoting economic growth and sustainable development in Africa. I love the focus of the vision and mission - it's not just to churn out great scientists, but to apply their knowledge in South Africa, a country that has been exploited over and over again by external powers. HIS country. Mandela was committed to improving his country and making it self-sustaining by developing its own crop of talented scientists. It's refreshing to see that instilled in the documented vision of an educational organization. Make sure to check out the Nelson Mandela Foundation for great info on the man. RIP.